Scribus is a simple and free solution for creating great looking documents of all kinds. 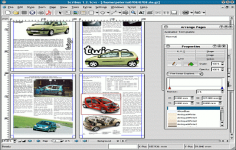 Scribus is a free desktop publishing software, distributed under the GNU GPL license. It offers many features that sometimes equal or exceed those of its commercial competitors. Although the Windows version suffer slowdowns and plant some rare moments, we must not forget that Scribus is a completely free software, which is not the case of Quark Xpress and InDesign. In terms of features, the three programs have the same and only the speed of implementation varies, commercial software here have their best advantage because they are better optimized Scribus. The layout can be done block by block in a very precise way, to one hundredth of a millimeter. Another interesting point of Scribus, management layers that allows you to work more thoroughly the document. Scribus offers a good solution for desktop publishing, offering all the basic features and although a little very close to Linux, relatively correct interface , color management (CMYK separations, ICC profiles, etc), Import / export SVG, EPS, etc.It offers the possibility of creating a diary when there are multiple items, providing the tools developed to facilitateÂ insertion of images and tables. Scribus is a suitable application for the production of booklets, books and magazines. Color precision for fill colors has been expanded to 64 bit floating point. 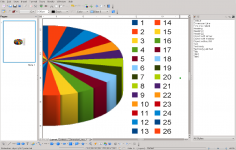 Scribus can now handle color palettes in the new ISO standard CxF3 (See: https://www.xrite.com/de/page/cxf-color-exchange-format). CxF3 files cannot only store palettes in different color models (e.g., RGB, CMYK, LAB) and output intents, but also allow for storing spectral colors, which enables even greater colour precision. 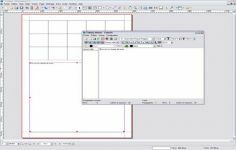 Scribus is the first DTP software that supports this demanding standard. Existing import filters have been upgraded to support the LAB color model (where applicable). The Barcode plug-in has been updated and offers new features. Many bugs regarding fringe uses have been fixed in the PDF library, both for print PDFs and PDF forms. Several new commands have been added to the scripting engine, so as to make the document creation via scripts easier and more versatile. Thanks to the work of the Document Liberation Project and particularly David Tardon, experimental import filters for ZonerDraw vector drawings (versions 4 and 5) and QuarkXPress documents (versions 3 and 4) have been added. Many potential stability and security issues revealed by Coverity scans have been fixed.